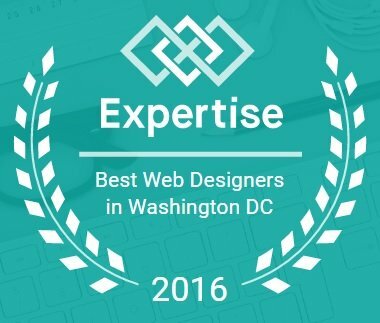 We are pleased to share that we have been named one of the top digital marketing agencies and web designers in the DC metro area. This distinction has been awarded to us by Clutch, a B2B ratings and reviews platform that helps companies buy and hire smarter. After conducting in-depth market research and interviews with top companies’ clients, in sectors such as digital marketing, Clutch ranked the Cogo Interactive team among some of the leading agencies in the world for our ability to deliver. We have also been featured on Clutch’s sister site, The Manifest, as one of the leading internet marketing companies in Washington, DC. The research team at The Manifest works to leverage business problems into opportunities by recommending top service providers to help get the job done. At Cogo Interactive, we don’t see problems, we see opportunities; and we supply online marketing strategies and solutions to help businesses build brand awareness and grow revenue. Our methods are tried and true and ensure that we follow the strategies and cutting-edge methodologies used by leading digital marketing companies around the world. We help our clients attract and retain their desired target audiences to give their business a competitive edge. We place great value in our clients, and it's gratifying to know they value our team as well. While we create stunning designs and effective strategies, we also work to ensure a high-quality user experience for all web visitors. Thank you to all of our clients for your support, we would not be here without you and we can’t wait to experience more success together in 2019!